a big hello (and thank you) to my new readers and welcome back to my regulars, today i have a beauty post for you which i am trying to do more of, as i am a beauty junkie as well as loving clothes/shoes/bags. 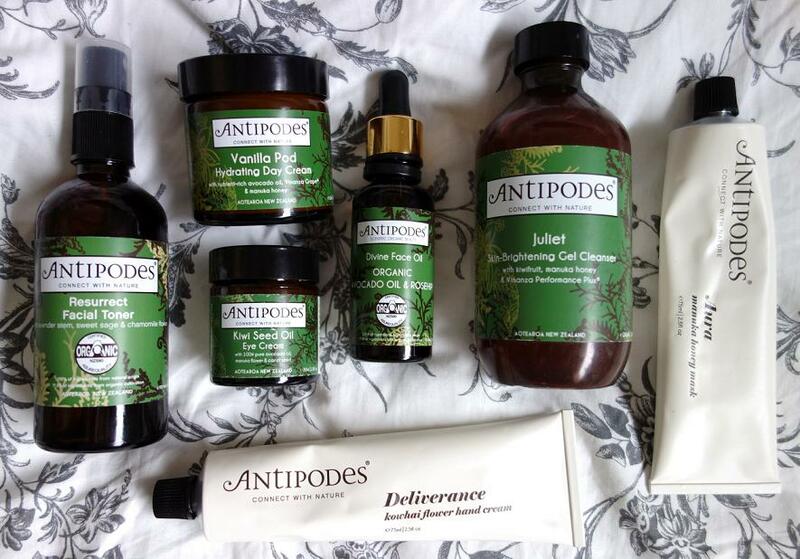 i am absolutely in love with antipodes skincare range so had to share my seven purchases and favourites with you. i’ve always struggled with extremely sensitive problem skin, there hasn’t been a period since the age of about 14 where i haven’t had a blemish or two. recently i’ve decided enough is enough and i’m really trying to get my skin on track by doing a lot of research and trying some well thought out products. i first heard of this brand through kate from gh0stparties (gotta love that girls blog and youtube) when she said that their cleanser was lovely, so i looked them up and the obsession started from there really. anyways, on with the mini reviews! vanilla pod hydrating day cream (here): as my skin fluctuates between oily/combination to slightly dry, i use this one or twice a week as a night cream, as it’d be too rich during the day. it’s quite light but seriously hydrating, which is what i look for in a moisturiser. it’s like your skin is getting a big drink and it smells like warm honey/vanilla too! i used this with hydraluron underneath the other night and my skin has never looked so good in the morning! seriously. resurrect facial toner (here): i’m still one of those people who doesn’t quite know what a toner does, but this one (when used in conjunction with my moisturiser) seems to plump my skin up and just makes it, well, nicer. it’s quite soothing too if my skin is feeling a little bit irritated which is a lovely bonus! kiwi seed oil eye cream (here): this has been applied to my eyes twice a day since it arrived and i’d feel lost without it now. my eyes are quite dry and require quite a lot of moisture, so, same with the vanilla pod moisturiser, this little product is hydrating yet sinks in really quickly. you only need to use a tiny little dot for each eye too, so the pot will last a very long time. juliet brightening gel cleanser (here): i think i’ve developed a small obsession with this cleanser, it’s absolutely beautiful! it smells lovely, really melts off makeup and makes your skin so, so soft. a pea sized amount will do your entire face and i tend to use it as a second cleanse on a night time. it’s rare that i find a product i get on so well with, but this is definitely up there in my top cleansers and i will repurchase again and again. aura manuka honey mask (here): when i use masks, i tend to alternate between deep cleansing (such as a lush fresh mask or ren’s invisible pores mask) or a brightening one (such a ren’s glycolactic mask or elemis papaya one), but when my skin needs a softening yet moisturising treatment, i use this honey one. i think it’s more luxurious than using a clay based mask, as it doesn’t make you have that ‘don’t talk to me or my face will crack’ thing going on. it’s just beautiful and smells delicious too. divine face oil (here): i used to use a dr hauschka oil (which is still amazing) but the bottle leaks everywhere which was getting on my nerves, so this one with the little dropper is much better. i mix two drops in with my moisturiser at night and it leaves my skin so soft and hydrated in the morning. this is one of the stronger smelling products, though. it doesn’t smell bad or linger too long or anything, i just thought i’d mention it for those who don’t like a prominent fragrance. deliverance kowhai flower hand cream (here): this came free from naturismo for purchasing two products (an offer which is still on now!) and it’s so lovely! it smells like christmas, sort of warm and spicy. sinks in wonderfully but i keep it for occasional use as i don’t want to use it all! right, well that’s everything! 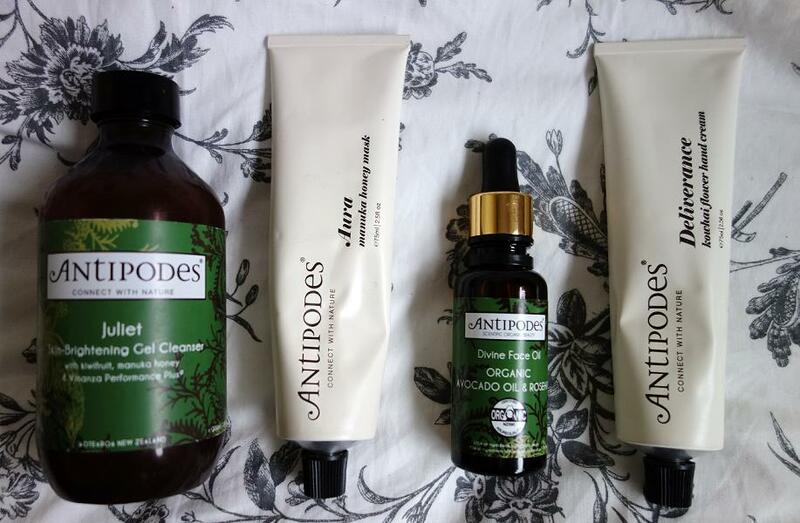 i wanted to use each products for a few weeks before reviewing, so this post has sort of been a long time coming! i would love to try their night serum or SPF day moisturiser next i think. do you have any of these on your wishlist? and do you like me doing beauty posts? please let me know! *i’ve bought every single one of these with my own dollah, i’m not sponsored by antipodes or anything (i wish) so all of these opinions are based on my own experiences, just so you know! 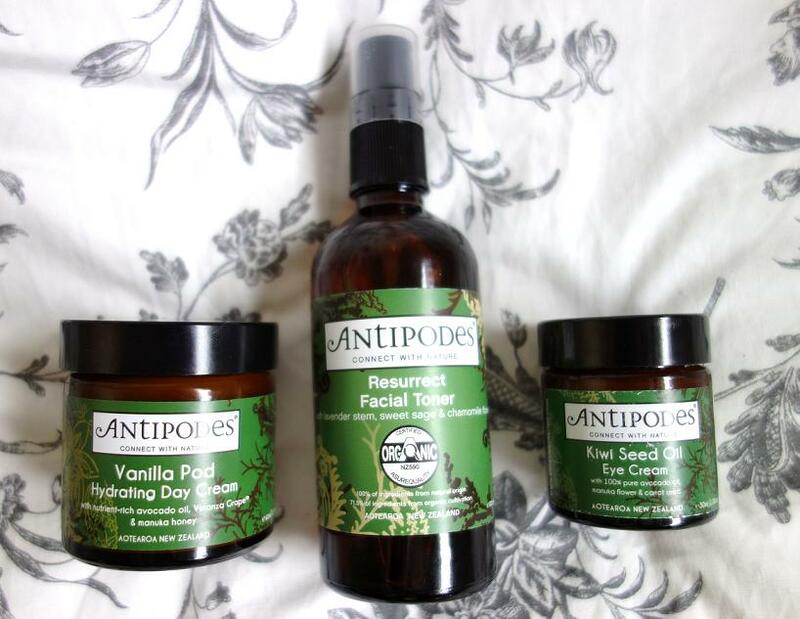 every product mentioned is available from naturismo, feel unique and antipodes website, all with free delivery. check out my sponsors for this month: the lovely tribal blaze, who stock some beautiful, affordable jewellery. you can get 15% off with the code ‘thelovecatsinc’ / also, barratts shoes, who you get 25% off with when using the code ‘gift’.